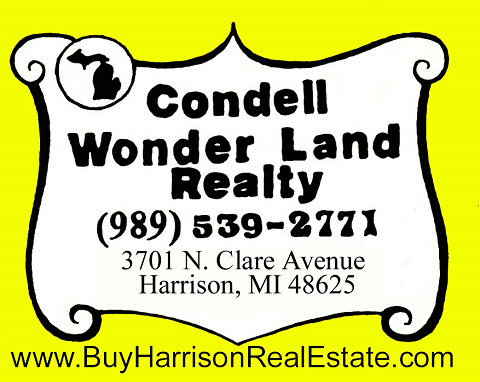 Thank you for visiting Condell Wonder Land Realty! Let us be your one-stop real estate website for your selling needs in Harrison , MI. and the surrounding area. We have a staff of professional real estate brokers and agents who will help make selling your property a enjoyable experience. We have access to hundreds of area MLS listings to compare your property with. Please fill out the below form so we can help you with your Real Estate Needs.